Millions of dollars have been stolen from Native American tribes by Koch Industries. 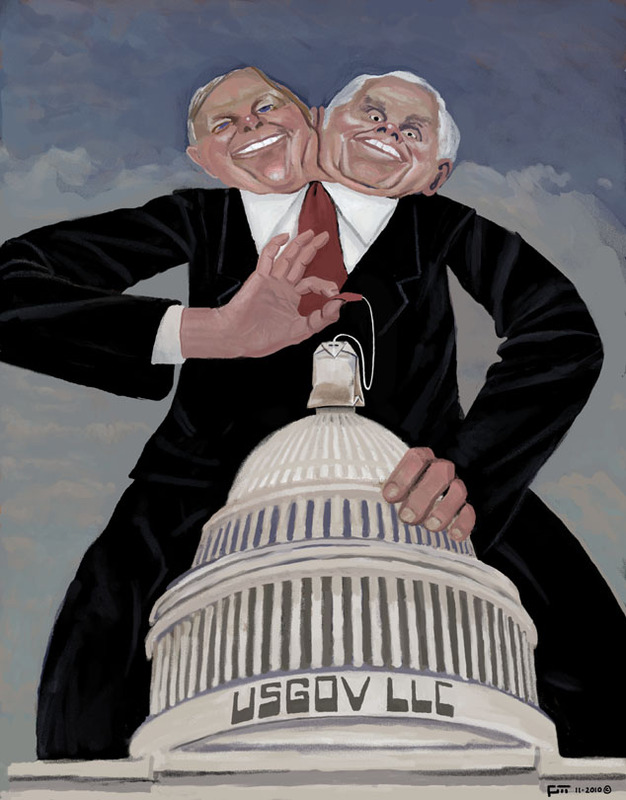 Koch Industries, which manufactures and distributes crude oil, has made brothers Charles and David Koch multi-billionaires. The business is the second largest private company in the United States and the largest independent buyer of oil in America and Canada. The Koch brothers donated a large sum of money to conservative Republican and Tea Party candidates during the 2014 midterm elections, and plan to spend $889 million in the 2016 elections. These donations were made with the knowledge that these candidates supported oil companies and were not in favor of stricter environmental regulations. With more conservative politicians in the House and Senate, Koch Industries would have a higher chance of increasing its already enormous profits. Many consider the Koch brothers’ wealth to be “dirty money.” Not only did Koch Industries break laws concerning pollution, but the business gained a large amount of money by cheating Native American tribes out of royalty fees. Koch Industries was supposed to pay the Indian tribes for all the crude oil taken from their land. However, in 1988, it was discovered that Koch was lying about the amount of oil that was collected, thereby cheating the Indians out of millions of dollars. The full article can be read at http://indiancountrytodaymedianetwork.com. This incident is similar to the Cobell v. Salazar case in which Native American representatives brought a lawsuit against the U.S. Department of Interior and the U.S. Department of the Treasury for incorrectly accounting for the income from Indian trust assets. A settlement was reached by the government on December 8, 2009, and the tribes finally started receiving their money in May 2014. The amount given to the tribes was not nearly as much as they should have received. Rather than accounting the actual amount that the government owed tribes, the government simply gave them the amount which would have been used for the accounting. The Navajo Nation rejected this proposed amount and sued the government for their neglectful accounting and mismanagement of natural resources. The Navajo Nation soon received $554 million, the largest settlement an Indian tribe has received, from the Obama administration. America has no right to ignore the treaties that were made with tribes in order to steal money and resources from them. This unfair and unjust treatment of Native Americans is exactly what we, at the Lakota People’s Law Project (LPLP), fight against. Our current focus is to prevent the government from stealing the most precious resource from the Lakota tribes: their children. For years, the South Dakota government has been illegally taking Lakota children away from their families, tribes, and cultures. One of the motives behind this is monetary gain, as the state receives up to $100,000 per Lakota foster child annually from the federal government. Recently, LPLP played a major role in helping Lakota tribes receive federal funding so that these tribes may establish their own foster care systems. Our goal is to help the remaining five tribes receive their funding by 2016. The time has come for the U.S. government to stop stealing from the Native Americans and to respect their rights. Please sign our petition to President Barack Obama demanding that the White House bring Lakota children home at http://lakotalaw.org/action. The link in the 5th paragraph leads to an not found page error.